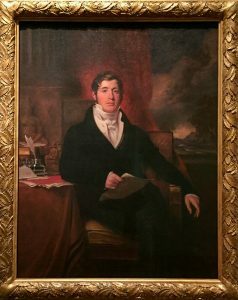 Portrait of Sir Thomas Stamford Bingley Raffles – this is a copy of the original (1817) by George Francis Joseph in the national Portrait Gallery in London. He may have pulled a disappearing act earlier this year, when his statue near the Singapore River blended into the background, but it is otherwise difficult to escape the presence of Sir Stamford Raffles. The British statesman’s legacy is very much woven into the history of Singapore and Southeast Asia, where he was stationed as an official with the East India Company from 1805 to 1824. Yet there are still sides to the enigmatic man, who has been regarded as a progressive reformer, opportunistic imperialist, and avid collector, that we might not know. 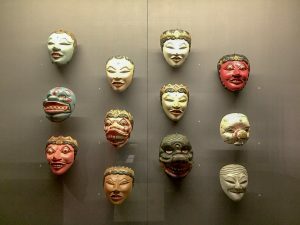 The Asian Civilisations Museum aims to peel back these layers by showcasing objects that fascinated Raffles, and which he collected during his time in the region. 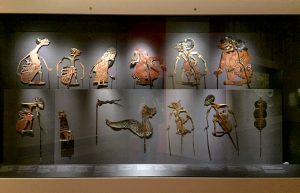 The exhibition, Raffles in Southeast Asia: Revisiting the Scholar and Statesman, is co-curated with the British Museum as part of the Singapore Bicentennial commemoration. With some 240 artefacts in the show, here are five you don’t want to miss, for a look into the psyche and life of Raffles. 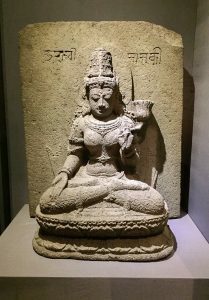 This sculpture of Mamaki, the female partner of one of the five Tantric Buddhas, is depicted in the portrait of Raffles by George Francis Joseph. If you compare the sculpture with its rendition in Raffles’ portrait, you will notice that the one in the painting has its arms and the lotus flower in the wrong positions, calling to question the accuracy of foreign accounts and depictions of Javanese history and culture. 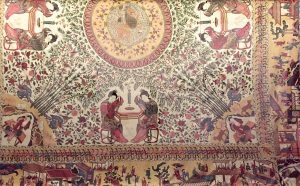 Indian textiles were a big part of the luxury trade and were maintained as heirlooms in many Indonesian cultures. This textile was made for the European market and it featured oriental motifs, which were favoured in Europe. Raffles, interestingly however, wasn’t too interested in collecting textiles, or gold, for that matter. Theatre was a popular pastime for Europeans in those days, and Raffles was no exception. A self-professed culture maven, he believed, like many of his peers, that Javanese theatre was a marker of civilisation, and he obsessed over connecting those stories on stage with Javanese history. 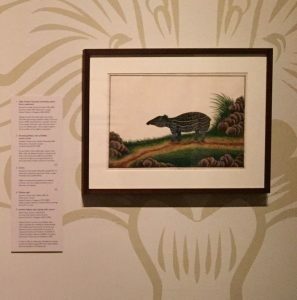 The painting features a tapir owned by William Farquhar, who accompanied Raffles on a mission that led to the founding of a British trading post in Singapore in 1819. Farquhar, the first British Resident of Singapore, was a keen naturalist who kept an eclectic collection of pets, including a leopard. Word had it that when Raffles heard of Farquhar’s plans to publish a journal report on the tapir, he tried – but failed – to get the article pulled; the anecdote a testament to the longstanding rivalry between the two men. The world’s largest flower might bear Raffles’ name, but it was first discovered by a Malay servant who then showed it to Raffles’ colleague, Joseph Arnoldi. 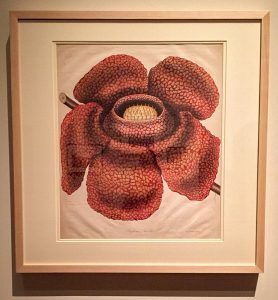 Raffles and his wife, Sophia Hull, were present when the flower was collected and the flower’s name, Rafflesia Arnoldi commemorates its Western “discoverers”. 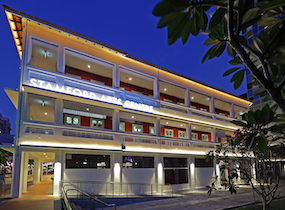 Details about Raffles in Southeast Asia: Revisiting the Scholar and the Statesman here.